The third and final season of the American music competition television show The X Factor premiered on Fox on September 11, 2013 and ended on December 19, 2013. This season was hosted by Mario Lopez. Simon Cowell and Demi Lovato returned to the judging panel, while Kelly Rowland and Paulina Rubio joined the panel as replacements for the departing judges. Producer auditions began on March 6, 2013, in Los Angeles, and ended on May 4, 2013, in Denver. The judges auditions, which are televised, began on May 21, 2013, in Charleston, and ended on July 12, 2013, in Los Angeles. New for this season is the removal of the boot camp and judges' houses rounds of the competition which have been replaced with a new middle section, more reminiscent of the live shows. 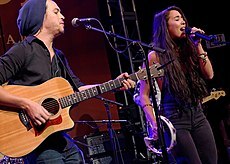 On December 19, 2013, Alex & Sierra won the show, as mentored by Cowell. On February 7, 2014, Cowell announced his departure from the American version to return to the UK version for the 2014 UK series which was followed by Fox announcing that it was not going to be renewing The X Factor for a fourth season. On October 22, 2012, it was announced that The X Factor would be returning for a third season, with Simon Cowell confirmed to be returning. On December 14, 2012, L.A. Reid announced he would not return to the show for its third season, as he wished to refocus his work on his record company, Epic Records. Britney Spears stated her intentions on returning to the show for its third season, but it was confirmed on January 11, 2013, that she would not be returning, in order to focus on her music career. Following the conclusion of season two, Demi Lovato questioned whether she would return for another season, or instead focus on her own career as a performer, stating, "I have no idea what's gonna happen next season, and I don't think anybody does." On March 28, 2013, it was confirmed that Lovato would return. On April 22, it was confirmed by Fox that Mario Lopez would be returning to host season three, along with the news of Khloé Kardashian not returning as co-host. Cowell confirmed via his Twitter account that the full judging panel will be announced on May 20, 2013, with auditions beginning the next day. On that same day, Fox confirmed that Destiny's Child member and judge on the 2011 UK series, Kelly Rowland, and Mexican singer and former La Voz... México judge Paulina Rubio had been hired to replace Spears and Reid. 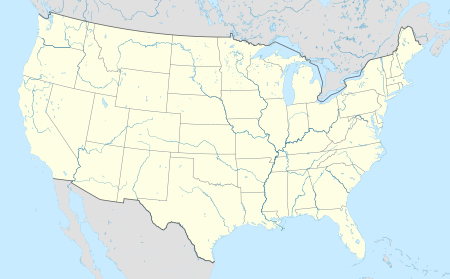 Cities where auditions were held. In addition to having online auditions, it was announced at the conclusion of season 2 that auditions for season 3 would be held throughout the country in Charleston, South Carolina; Denver, Colorado; Long Island, New York; Los Angeles, California and New Orleans, Louisiana. On the "Registration and Audition Rules" document on The X Factor's website about the auditions, it was announced where the auditions were going to be taking place. Instead of the traditional bootcamp stages, a deliberation stage (very similar to Britain's Got Talent) was introduced to cut down the "yes" from the auditions to perform at Four-chair challenge. This took place on July 31, 2013. After the Deliberation and Reveal Stages, but before the start of the four-chair challenge, the judges found out their categories and they are as follows: Rowland has the Overs, Rubio has the Boys, Lovato has the Girls and Cowell has the groups. They were revealed at Shrine Auditorium. For this season of The X Factor, Cowell confirmed that the boot camp and judges' houses sections of the competition, which traditionally followed the audition rounds, had been dropped and replaced with a brand new stage called "The Four-Chair challenge", which took place at the Shrine Auditorium and was filmed over 2 days in September 2013. Speaking on the change, he said "It [boot camp and Judges' houses] was the one element of the show I wasn't happy with, and it looked too similar to what everybody else is doing." He went on to describe the new "middle section" as "really dramatic, very tough on us and the contestants, and very high pressure", and compared the new round as similar to the live shows. This season, the categories did not follow the age-based format from season two but rather the format from season one: Boys, Girls, Over 25s and Groups. Rowland mentored Over 25s, Lovato the Girls, Rubio the Boys, and for the second season in a row, Cowell mentored the Groups. Groups Restless Road, Sweet Suspense, and Forever in Your Mind all consist of contestants who originally auditioned as soloists. The four-chair challenge episodes were broadcast on two 2-hour Wednesdays and two 1-hour Thursdays shows on October 2, 3, 9 and 10. ^1 Rubio initially switched out Tim Olstad for Timmy Thames, but after some consideration brought him back and instead switched out Al Calderon. The first two-hour live show aired on a special Tuesday time slot on October 29; which followed the same format as the first season with each of the judges narrowing their number of acts down to three, without a public vote. The public vote then started with the following performance and results shows starting November 6, which aired on Wednesdays and Thursdays respectively. As with previous seasons, each live show had a different theme. The live final took place in on December 18 and 19. Cowell had also said on Twitter that there may be a wildcard this season. The leaderboard that showed which act had received the most public votes did not return. Each results show featured musical performances from at least two artists. There was no guest performer on the first result show. Selena Gomez was supposed to perform on the second result show, but was postponed to third result show night which featured a performance from season 2 finalist Fifth Harmony. One Direction performed on the third results show. Michael Bublé performed on the fifth performance show, then again on the fifth results show alongside judge Demi Lovato. Emblem3 and Little Mix performed on the sixth results show, while Enrique Iglesias performed during the seventh results show. Paulina Rubio, Mary J. Blige, Lea Michele, Leona Lewis, Pitbull and One Direction performed on the finale. ^1 There was no public vote in the first week and therefore no final showdown. Each judge was required to reduce their number of acts to three. ^2 Levi returned to the competition in week two because the judges felt that he "deserves a second shot". ^3 Owing to graphic errors in which incorrect voting numbers were displayed on screen during the performance recap, there was no elimination in week two. All acts performed again on Thursday night in week two and a public re-vote was conducted. Carlos Guevara was eliminated on Wednesday night in week three after receiving the fewest votes in week two. ^4 Cowell was not required to vote as there was already a majority. ^5 Cowell revealed in an interview that Alex & Sierra "won every single week" in the public vote except the fourth. There was no public vote in the first week. Instead, each of the judges selected one of their own acts to eliminate. One of the four acts that did not face the public vote in week 1, and was eliminated by their mentor, was reinstated to the show as the judges felt that the act "deserves a second shot". The reinstated act was announced as Josh Levi. 2 "This Old Heart of Mine (Is Weak for You)"
6 "Say You, Say Me"
7 "I Heard It Through the Grapevine"
9 "Stop! In the Name of Love"
10 "All In Love Is Fair"
11 "You Keep Me Hangin' On"
12 "Ain't No Mountain High Enough"
Owing to graphics error in which incorrect voting numbers were displayed on screen during the performance recap, there was no elimination this week, instead all the acts performed their "Save Me" songs on Thursday night and a public re-vote was conducted after the show. The results were announced the following week, at the start of the live show on Wednesday night. Selena Gomez was going to perform her single "Slow Down" but due to graphics issues, she performed on the second night in week 3. Carlos Guevara, the act that received the fewest votes from the public re-vote in week 2, was eliminated at the start of the November 13 episode. He would have performed "Mad World". Starting from week three, two acts will be eliminated from each results show until week five. The three acts with the fewest public votes will be announced and then the act with the fewest votes will be automatically eliminated. The remaining two acts will then perform in the final showdown and face the judges' votes. Rowland: Khaya Cohen – based on the final showdown performances, effectively backing her act, Rachel Potter. Rubio: Rachel Potter – gave no reason. Lovato: Rachel Potter – gave no reason, though effectively backed her own act, Khaya Cohen. Cowell: Rachel Potter – felt that Cohen has more potential in the X Factor singing competition. Wednesday: "Cry Me a River"
Thursday: "Somewhere Only We Know"
With the acts in the bottom two receiving two votes each, the result went to deadlock and reverted to the earlier public vote. Levi was eliminated as the act with the fewest public votes. For the first time this season, each act performed two songs. Cowell: Rion Paige – wanted to give Olivero the opportunity to stay in the competition as he felt it was "probably his last chance"
Thursday: "Stronger (What Doesn't Kill You)"
On December 4, the song choices for the public were revealed. The semi-final did not feature a final showdown and instead the act with the fewest public votes, Restless Road, was automatically eliminated. The top three acts each then performed a victory song of their choice after they were announced safe, with Olivero performing "Suavemente", Alex & Sierra performing "Let Her Go", and Gutt performing "Open Arms". The final consisted of two two-hour episodes on December 18 and 19. Group performance: "We Will Rock You"
1 "Impossible" 4 "Stand by Me" (with Prince Royce) 7 "Maria Maria"
2 "Give Me Love" 5 "Bleeding Love" (with Leona Lewis) 8 "Say Something"
3 "Dream On" 6 "Iris" (with John Rzeznik) 9 "Creep"
James Kenney auditioned for Season 1, but was eliminated during the Judges' Home round. Jeff Gutt auditioned for Season 2, but was eliminated on the last day of the Bootcamp round. Ellona Santiago competed in Season 1 as a member of InTENsity, who were eliminated in 12th place. Chase Goehring competed on the twelfth season of America's Got Talent. He received a golden buzzer from guest judge DJ Khaled during Judges' Cuts. He finished in the Top Ten. Stone Martin and Timmy Thames appeared on Boy Band. Both were eliminated on episode 1. ^1 Due to the 2013 MLB World Series running past October 28, the first live show of the season aired on October 29 to make room for Wednesday's potential deciding game. Due to graphic errors made in the top 13 round of the live shows regarding voting, all voting results posted in that episode were invalidated, and the contestants sang once more in the show of November 7, with the results revealed on November 13. On December 19, 2013, during the finale a segment featuring judge Lovato had aired. The segment showed Lovato drinking a green-colored beverage called "Annoying Juice" throughout the duration of the season, poking fun at Lovato's "annoying" relationship with show creator Cowell. The next day, Lovato expressed her frustration with The X Factor producers for mocking her drinking addiction that she openly struggled with. ^ "FOX Announces Fall Premiere Dates for the 2013–2014 Season". Facebook. Retrieved August 31, 2013. ^ Andreeva, Nellie (February 7, 2014). "Fox's 'The X Factor' Cancelled After Three Seasons". Deadline Hollywood. Retrieved February 8, 2014. ^ Villarreal, Yvonne (October 22, 2012). "'The X Factor' gets a third season". Los Angeles Times. ^ O'Sullivan, Erin (December 21, 2012). "Simon Cowell Talks Tate Stevens' X Factor Win & Plans For Season 3". Access Hollywood. ^ "L.A. Reid not returning to 'X Factor' next season". Fox News. Associated Press. December 14, 2012. ^ Harnick, Chris (November 6, 2012). "Britney Spears On 'The X Factor' Season 3? 'Definitely'". The Huffington Post. ^ Kaufman, Gil (January 10, 2013). "Britney Spears Leaving 'X Factor' After One Season". mtv.com. MTV. ^ Sager, Jessica (December 23, 2012). "Will Demi Lovato Return to 'X Factor' Season 3?". Pop Crush. ^ "Khloe Kardashian not returning to 'X Factor'". April 22, 2013. Retrieved April 22, 2013. ^ Joannou, Andy (May 18, 2013). "Simon Cowell: 'New X Factor USA judges will be revealed on Monday'". Digital Spy. Retrieved October 27, 2013. ^ "Kelly Rowland And Paulina Rubio Join The X Factor". Facebook.com. Retrieved August 31, 2013. ^ "Registration and Audition Rules" (PDF). The X Factor USA. January 23, 2013. Archived from the original (PDF) on September 26, 2013. ^ "How To Audition For X Factor USA 2013". JTMagz. December 22, 2012. ^ BST (September 6, 2013). "Simon Cowell teases 'X Factor' USA changes, promises 'high pressure' – X Factor USA News – Reality TV". Digital Spy. Retrieved September 16, 2013. ^ "Meet THE X FACTOR's New Final 40". The X Factor. September 26, 2013. Retrieved October 27, 2013. ^ "Song List: Beggin, Beggin You". The X Factor. October 2, 2013. Retrieved October 27, 2013. ^ "Song List: Angels Can't Save You Now". The X Factor. October 3, 2013. Retrieved October 27, 2013. ^ "Song List: Cowboys Take Me Away". The X Factor. October 9, 2013. Retrieved October 27, 2013. ^ "Song List: Wishin' For A Chair". The X Factor. October 10, 2013. Retrieved October 27, 2013. ^ "Tweet from Simon Cowell". Twitter. October 10, 2013. Retrieved October 27, 2013. Should we have a wild card. Let the public pick. What do you think? ^ a b "Selena To Perform Thursday!". X Factor USA. Retrieved November 14, 2013. ^ a b "Fifth Harmony Returns To The X FACTOR Stage Thursday!". X Factor USA. Retrieved November 14, 2013. ^ a b "Get Ready! One Direction Performs THURSDAY". X Factor USA. Retrieved November 19, 2013. ^ a b "The X Factor On Fox – News". Thexfactorusa.com. July 22, 2013. Retrieved November 28, 2013. ^ a b c d "Double Elimination on THE X FACTOR; Demi Lovato, Michael Buble to Perform 11/28". Broadway World. Retrieved November 22, 2013. ^ a b c "Double Elimination on THE X FACTOR; Emblem 3, Little Mix to Perform 12/5". Broadway World. Retrieved November 29, 2013. ^ a b "Top Three Finalists Announced on 'The X Factor'". tvbythenumbers.zap2it.com. Retrieved December 13, 2013. ^ a b c "The X Factor On Fox – News". Thexfactorusa.com. Retrieved November 8, 2013. ^ a b c d "The X Factor On Fox – News". Thexfactorusa.com. Retrieved November 14, 2013. ^ a b c d "The X Factor On Fox – News". Thexfactorusa.com. Retrieved November 18, 2013. ^ a b c d e "The X Factor On Fox – News". Thexfactorusa.com. Retrieved November 18, 2013. ^ a b c "The X Factor On Fox – News". Thexfactorusa.com. Retrieved November 28, 2013. ^ a b "The X Factor USA: Did Carlito Olivero, Alex & Sierra or Jeff Gutt win? – X Factor USA News – Reality TV". Digital Spy. December 20, 2013. Retrieved February 26, 2014. ^ ""The X Factor" Allows Fans To Weigh In As Fifth Judge". Facebook.com. Retrieved November 8, 2013. ^ a b c "The X Factor On Fox – News". Thexfactorusa.com. Retrieved November 14, 2013. ^ "Simon Cowell Interview at "The X Factor" USA Season 3 Finale Night 2 – Alex and Sierra". YouTube. MaximoTV. December 20, 2013. Retrieved November 26, 2016. ^ "The X Factor On Fox – News". Thexfactorusa.com. Retrieved November 14, 2013. ^ "Twitter / TheXFactorUSA: TOMORROW NIGHT 8/7c on FOX". Twitter.com. Retrieved November 8, 2013. ^ "Two Acts Eliminated on 'The X Factor'". tvbythenumbers.zap2it.com. Retrieved November 15, 2013. ^ "The X Factor On Fox – News". Thexfactorusa.com. Retrieved November 28, 2013. ^ "Tim Olstad is Eliminated from The X Factor – THE X FACTOR USA 2013". YouTube. November 21, 2013. Retrieved November 28, 2013. ^ "Instagram". Instagram. Retrieved November 28, 2013. ^ "The Top 8 Face Off! – THE X FACTOR USA 2013". YouTube. Retrieved November 28, 2013. ^ "The X Factor On Fox – News". Thexfactorusa.com. July 22, 2013. Retrieved November 28, 2013. ^ Twitter / LittleMixOffic: USA! Have you heard the news? ^ a b c d "The X Factor On Fox – News-Detail". Thexfactorusa.com. Retrieved February 26, 2014. ^ "Twitter / TheXFactorUSA: BONUS for tonight: @PrinceRoyce". Twitter.com. December 18, 2013. Retrieved February 26, 2014. ^ a b c "The X Factor USA: Grand finale – Live blog – X Factor USA Recap – Reality TV". Digital Spy. December 19, 2013. Retrieved February 26, 2014. ^ "Wednesday Final Ratings: 'The X Factor', 'Big Brother', 'Million Second Quiz' & 'America's Got Talent' Adjusted Up; 'Camp' Adjusted Down – Ratings | TVbytheNumbers". Tvbythenumbers.zap2it.com. September 12, 2013. Retrieved September 16, 2013. ^ "Thursday Final Ratings: 'Big Brother', 'Rookie Blue' & 'CBS Fall Preview' Adjusted Down – Ratings | TVbytheNumbers". Tvbythenumbers.zap2it.com. Retrieved September 16, 2013. ^ Bibel, Sara (September 19, 2013). "Wednesday Final Ratings: 'Big Brother' Adjusted Up; 'Million Second Quiz' Adjusted Down". TVbytheNumbers. Retrieved October 27, 2013. ^ Bibel, Sara (September 20, 2013). "Thursday Final Ratings: 'The X Factor' Adjusted Up; 'Million Second Quiz', 'Wipeout' & 'Valerie's Story' Adjusted Down". TVbytheNumbers. Retrieved October 27, 2013. ^ Kondolojy, Amanda (September 26, 2013). "Wednesday Final Ratings: 'The Middle', 'Modern Family' and 'Survivor' Adjusted Up; 'Nashville' & 'CSI' Adjusted Down". TVbytheNumbers. Retrieved October 27, 2013. ^ Kondolojy, Amanda (September 27, 2013). "Thursday Final Ratings: 'The Big Bang Theory', 'The Michael J Fox Show' & 'The X Factor' Adjusted Up; 'The Crazy Ones' Adjusted Down". TVbytheNumbers. Retrieved October 27, 2013. ^ Bibel, Sara (October 3, 2013). "Wednesday Final Ratings: 'Revolution', 'Survivor', 'The Middle' & 'Back In The Game' Adjusted Up; 'Ironside' Adjusted Down". TVbytheNumbers. Retrieved October 27, 2013. ^ Bibel, Sara (October 4, 2013). "Thursday Final Ratings: 'Big Bang Theory', 'Grey's Anatomy' & 'The Originals' Adjusted Up; 'Parks And Recreation', 'Welcome to the Family', 'Sean Saves the World', 'Michael J. Fox Show', & 'Parenthood' Adjusted Down". TVbytheNumbers. Retrieved October 27, 2013. ^ Kondolojy, Amanda (October 10, 2013). "Wednesday Final Ratings: 'Survivor', 'Back in the Game', 'Modern Family' and 'The Tomorrow People' Adjusted Up; 'Nashville' Adjusted Down". TVbytheNumbers. Retrieved October 27, 2013. ^ Kondolojy, Amanda (October 11, 2013). "Thursday Final Ratings: 'The Big Bang Theory', 'The X Factor' & 'Glee' Adjusted Up; 'The Vampire Diaries' & 'The Millers' Adjusted Down". TVbytheNumbers. Retrieved October 27, 2013. ^ Bibel, Sara (October 30, 2013). "Tuesday Final Ratings: 'The Voice', 'The Originals' & 'Person of Interest' Adjusted Up". TVbytheNumbers. Retrieved October 30, 2013. ^ Bibel, Sara (November 1, 2013). "Thursday Final Ratings: 'The Vampire Diaries', 'The Millers' & 'Elementary' Adjusted Up; 'Sean Saves the World' & 'Parenthood' Adjusted Down". TVbytheNumbers. Retrieved November 3, 2013. ^ Kondolojy, Amanda (November 7, 2013). "Wednesday Final Ratings: 'CSI' Adjusted Up; 'Criminal Minds' Adjusted Down + No Adjustment for 'The CMA Awards'". TVbytheNumbers. Retrieved November 7, 2013. ^ Kondolojy, Amanda (November 8, 2013). "Thursday Final Ratings: 'Elementary', 'Scandal', 'The Vampire Diaries', & 'The Big Bang Theory' Adjusted Up; 'The Voice', 'The Millers', 'Sean Saves the World', 'Parenthood', & 'The Michael J Fox Show' Adjusted Down". TVbytheNumbers. Retrieved November 8, 2013. ^ "Wednesday Final Ratings: 'Revolution', 'Arrow', 'The Middle' & 'Survivor" Adjusted Up; 'Super Fun Night' Adjusted Down – Ratings | TVbytheNumbers". Tvbythenumbers.zap2it.com. November 14, 2013. Retrieved November 18, 2013. ^ "Thursday Final Ratings: 'The Big Bang Theory' Adjusted Up; 'The X Factor', 'Parks and Recreation', 'The Millers', 'Sean Saves the World', 'Glee', 'The Michael J. Fox Show' & 'Parenthood' Adjusted Down – Ratings | TVbytheNumbers". Tvbythenumbers.zap2it.com. Retrieved November 18, 2013. ^ "Wednesday Final Ratings: 'The X Factor', 'Modern Family', 'Arrow', 'Survivor' & 'The Middle' Adjusted Up; 'Super Fun Night' Adjusted Down". Tvbythenumbers.zap2it.com. November 20, 2013. Retrieved November 22, 2013. ^ "Wednesday Final Ratings: '10 Most Fascinating People' & 'Home for the Holidays' Adjusted Up; 'iHeartRadio Jingle Ball' Adjusted Down". Tvbythenumbers.zap2it.com. December 19, 2013. Retrieved December 20, 2013. ^ "Batter Up! Potential X FACTOR Schedule Change". The X Factor. October 23, 2013. Retrieved October 27, 2013. ^ "'The X Factor' Screws Up Live Vote, Contestants to Sing Again". Variety. November 7, 2013. Retrieved November 7, 2013. ^ "Demi Lovato 'furious at producers of The X Factor USA' over a 'skit that mocked her addiction' | Mail Online". London: Dailymail.co.uk. December 20, 2013. Retrieved February 26, 2014.